I recently felt like making cookies and wanted to try something different. At the same time I did have some requirements of what I desired from the cookie I was about to make. I wanted it to be simple, soft, and chocolate. With that in mind I stumbled on a few potentials but everything seemed too involved for my taste since I had family in town and wanted something that could be made up quick. Just as I was about to give up and not make anything this week I stumbled on something that peaked my interest…Peanut Butter & Banana Chocolate Chip Cookies. I knew peanut butter and chocolate go together perfectly but the banana intrigued me enough to force me to try it, even though it was a bit more involved of a recipe than I had planned to tackle on. Before I make a recipe I usually do some research and compare/contrast other recipes so that I can create the best product myself. What I found in my research was that many recipes only used mashed bananas to add the banana flavor or they added mashed banana and some banana extract to boost the flavor since many complained banana alone did not provide enough banana flavor to shine through the dominant chocolate and peanut butter flavors. One recipe took a different approach and used banana and dried banana chips. I liked this idea better than the extract option and chose to use banana and banana chips. The banana chips were a bit overwhelming the first time around but did impart banana flavor…almost too much to the point it stole the show against the chocolate and peanut butter, something I didn’t want. I wanted flavor harmony. So back to the drawing board for one more batch. This time, I toned down the banana chips and I had it perfect. The lower amount of chips provided just the right flavor and crunch without being too showy. To amp up the peanut butter flavor, I made sure to use crunchy peanut butter as opposed to creamy. 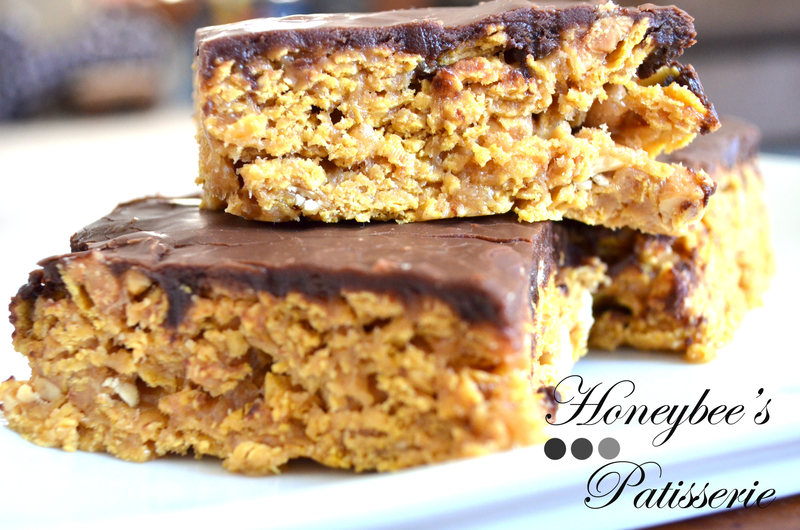 This not only added more crunch to every bite but packed little bursts of peanut flavor. It also helped with the texture of the cookie. It kept it firm enough to hold everything together but not so firm that the cookies lost the softness I initially sought after. 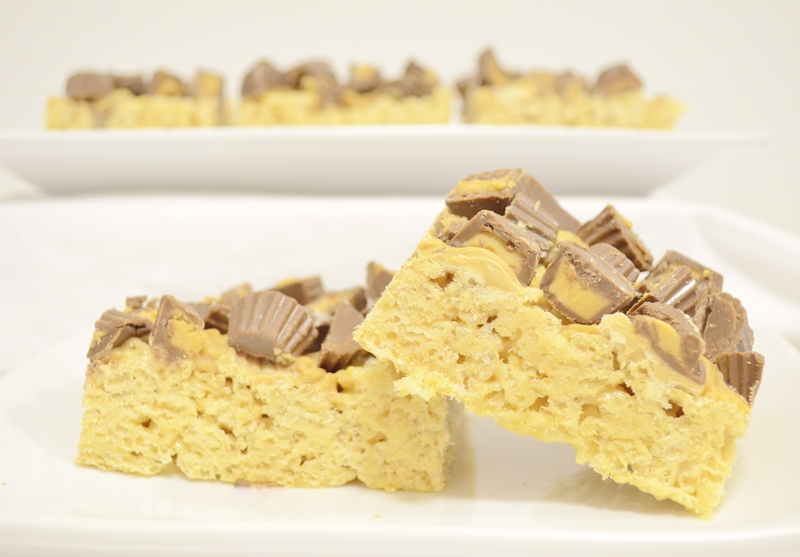 However, if all you have on hand is creamy peanut butter you can use that too but the texture may turn out different. 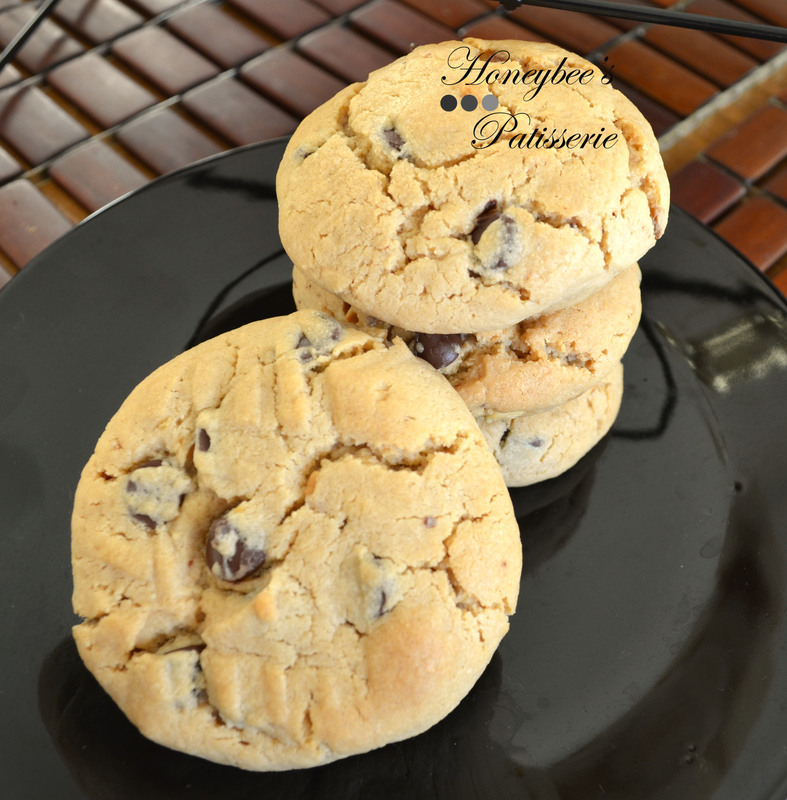 All in all I really enjoyed these cookies and my daughter enjoyed helping me make them. They are definitely worth trying since everyone visiting had one or a few and now, sadly, they are a thing of the past. Note: Formula yields about 2 dozen cookies. Cookies can be stored in an airtight container for 3 days. Adjust oven rack to upper and lower middle positions and preheat oven to 350°. Line 2 baking sheets with parchment paper and set aside (Do not leave them on top of the preheating oven). Combine the flour and the baking soda in a bowl and set aside. In the bowl of a stand mixer, beat butter, cream cheese, brown sugar, and granulated sugar on medium-high speed until light and fluffy. Add the peanut butter, banana, egg, and vanilla, mixing until just incorporated. Reduce the speed to low, and add the flour mixture. Mix until just combined. Stir the chocolate chips and banana chips in by hand until evenly distributed but do not overmix. Take sections of dough and roll into 1½ inch size balls. Place each dough ball on the prepared baking sheets, about 2 inches apart from each other. Use a large fork to gently press a crisscross pattern into the top of each dough ball. This will slightly flatten the dough balls. Bake the cookies until golden brown, 12 to 14 minutes, rotating sheets halfway through the baking time. 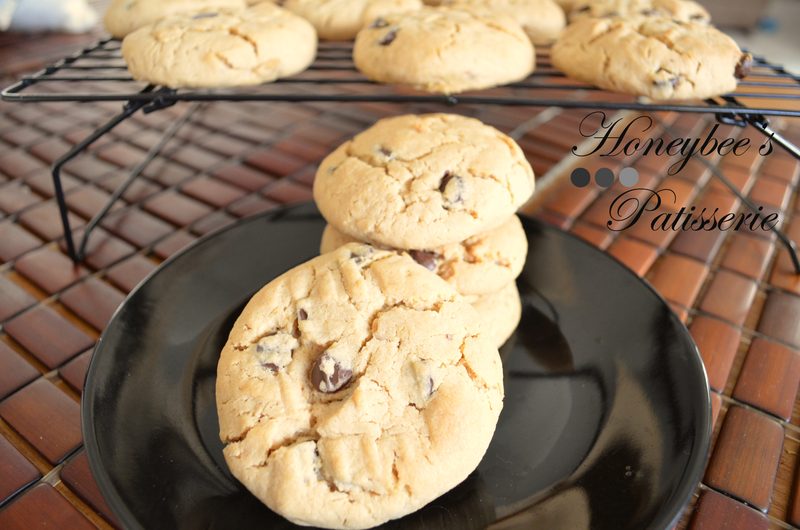 When cookies are done baking, remove them from the oven and allow them to cool 5 minutes on the baking sheets. 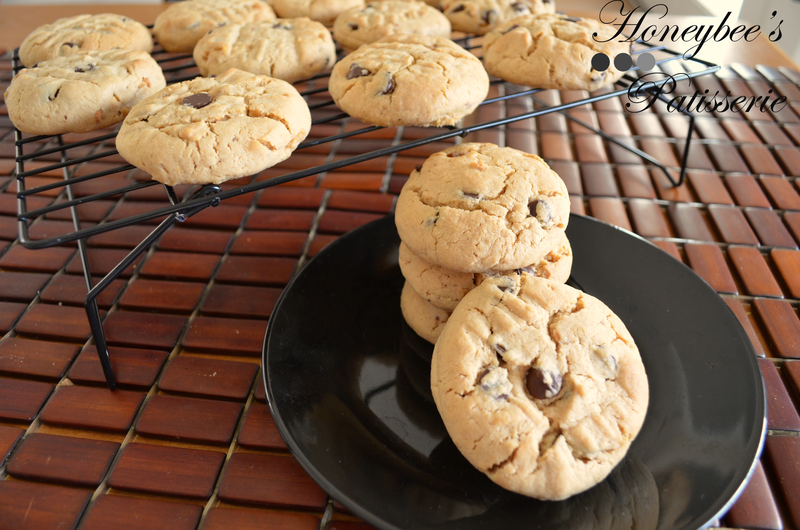 After 5 minutes, transfer the cookies to a wire rack and allow them to cool completely before storing. Repeat with remaining dough as necessary. 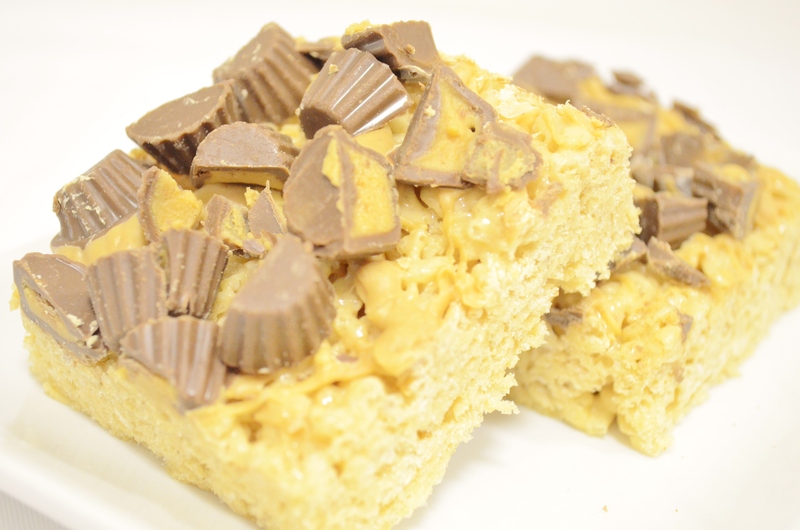 On the tenth anniversary of September 11, nothing could lift spirits higher than indulging in the sweet, comforting combination of peanut butter and chocolate. This cute little dessert is based upon cookie cups which have a crisp exterior while maintaining the soft, sweet interior beloved by all sugar cookie lovers. These cups are filled with a mixture of peanut butter, whipped cream, and cream cheese to create a light, fluffy mousse. Also let’s not forget the peanut butter mousse is sandwiched between a rich layer of chocolate ganache dolloped on the bottom of each cookie cup and drizzled on top for a designer finish. 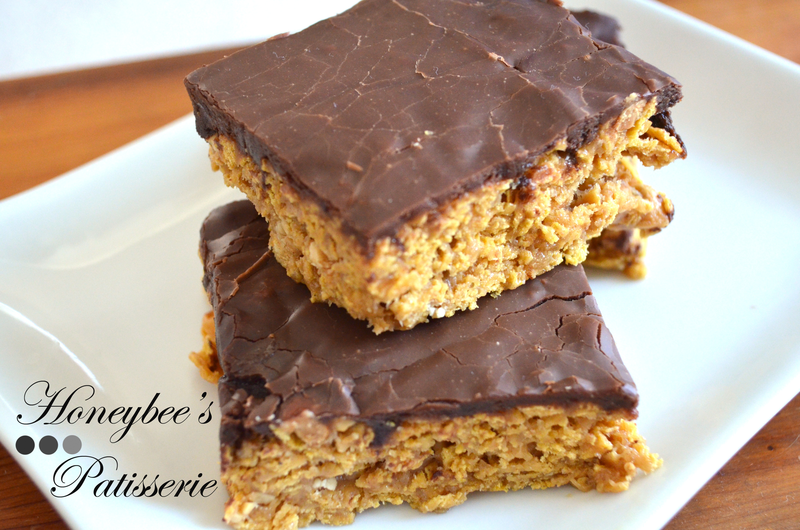 I’m usually the type who tries it after I finish baking it and leave the rest to be eaten by others but I couldn’t even stop munching these days after they were baked. YUM!!! The whole process begins with something so basic… a bag of sugar cookie mix blended with pecans and pressed into muffin tins. This simple step of the formula creates a crisp yet tender cookie shell. 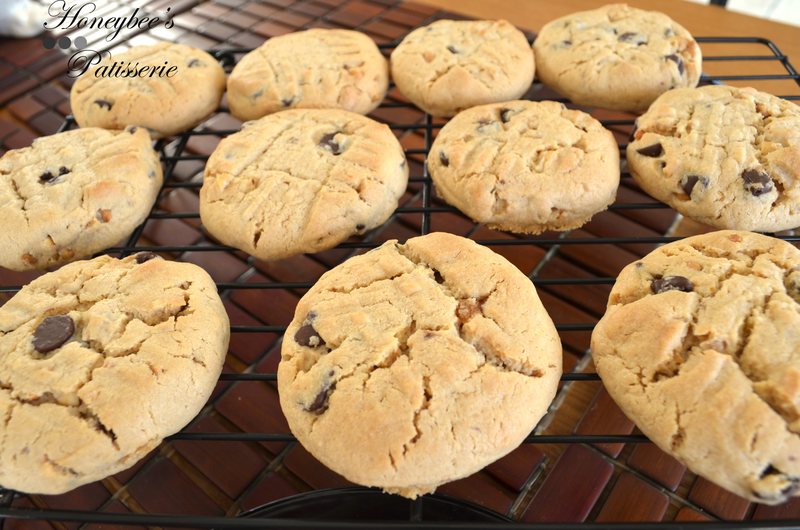 It is important to note that when pressing the cookie mix into the muffin tin, the right amount of cookie mix pressed will seem like a lot but is necessary to create a solid base to build upon later. 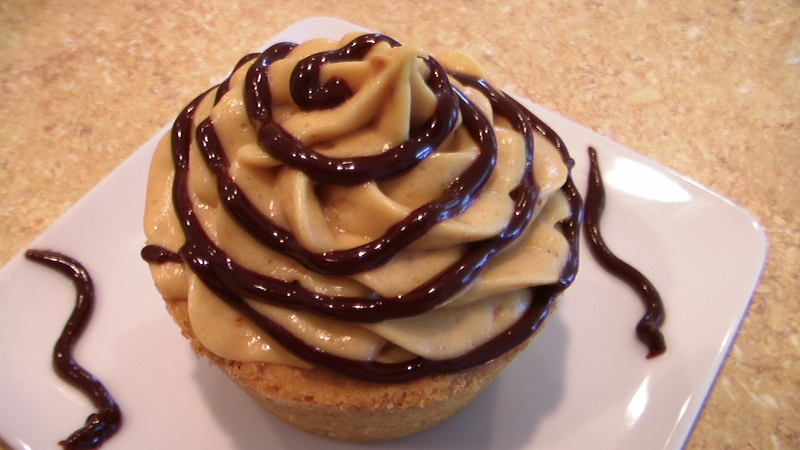 Once the sugar cookie cups have been baked and cooled, the peanut butter mousse and chocolate are prepared. A dollop of chocolate is placed in the bottom of each cookie cup. For the most elegant presentation, the peanut butter mousse is piped into each cup using a disposable piping bag fitted with a large star decorator tip. When the filling is piped into the cookie cup, it will resemble the look of a giant rosette on top of a cupcake. 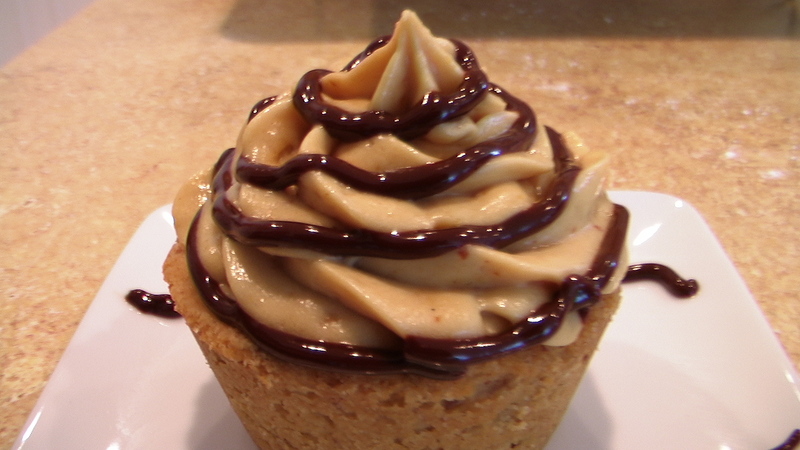 If you do not own disposable piping bags or decorator tips, you may spoon the peanut butter mousse into the cups and use a small spatula or back of the spoon to smooth out the top. Lastly, place the remaining melted chocolate in a squeeze bottle or piping bag fitted with a fine, round decorator tip. 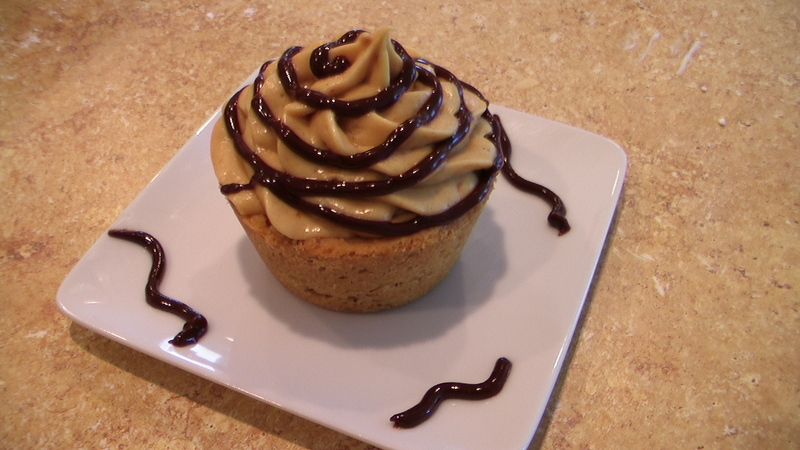 Use the melted chocolate to create a swirl design around the piped peanut butter mousse filling. If you are not a chocoholic or lack any of the above equipment needed for the melted chocolate, you may certainly skip this step and keep the rosette look created by the piped peanut butter mousse. Both looks are impressive and elegant in appearance. The following formula requires a sugar cookie mix for the cookie cup crust. Sugar cookie mixes are found in supermarket baking aisles near the boxed cake mixes. I chose the 17.5 oz. sugar cookie mix by Betty Crocker for this formula. 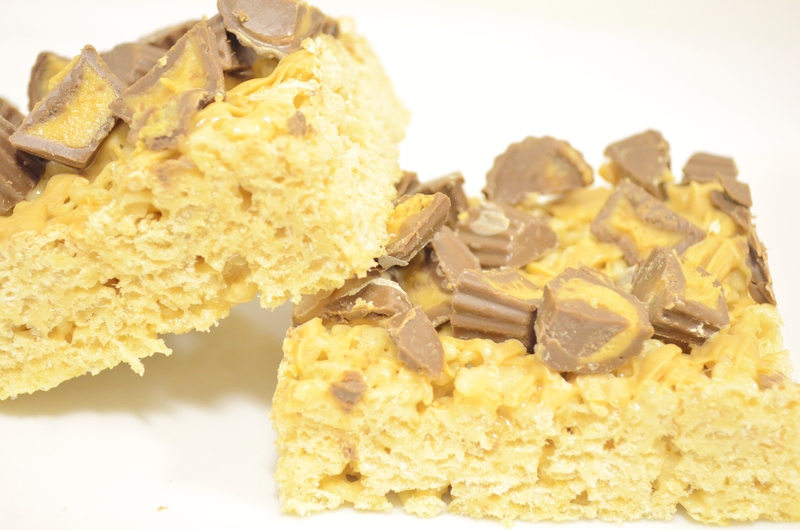 It created the perfect wet sand texture necessary for proper pressing into the muffin tins and when mixed with pecans and filled with peanut butter mousse and chocolate, the processed flavor usually found in cookie mixes was obliterated. All the cookie mix left behind was the desired softness and sweetness expected of a sugar cookie. Perhaps best of all, the sugar cookie mix saves precious time, relieving us busy bakers from the long task of baking the sugar cookies from scratch and cleaning up the numerous dirty dishes left behind!!! Adjust oven rack to middle position and preheat oven to 350°. Grease muffin tin. Combine sugar cookie mix, pecans, and flour in a bowl. Slowly add in the butter and stir until the mixture resembles the texture of wet sand. Press a thick layer of the cookie mixture into the bottom and sides of each muffin cup. Bake until golden, about 10 minutes, being sure to rotate the muffin pan halfway through the cooking time. Cool 20 minutes in the muffin pan before removing. With mixer on medium-high, whip 8 ounces of heavy cream to stiff peaks. Set aside. 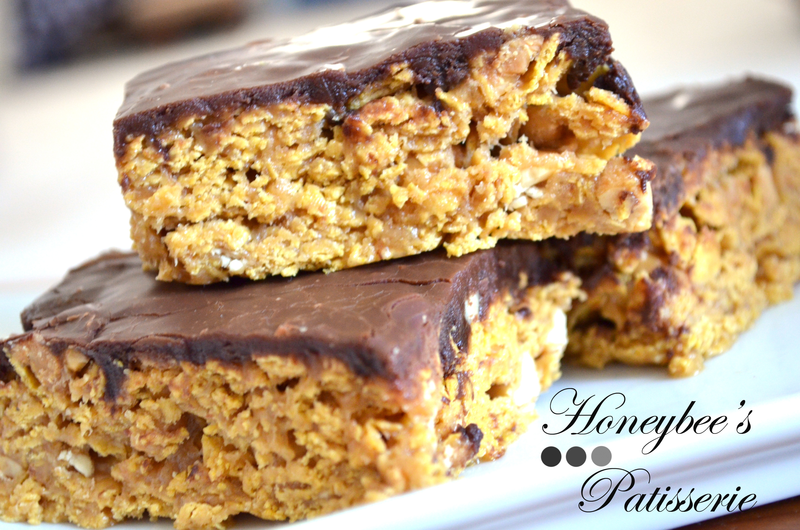 In mixer, beat peanut butter, cream cheese, sugar, and vanilla on medium speed until creamy and smooth. Gently fold in the whipped cream. Microwave the chocolate and remaining 5.5 ounces of cream for about 1 minute. Make sure to stir occasionally (to prevent scorching) until the chocolate is melted smooth. Pour a dollop of the prepared chocolate ganache into the bottom of each sugar cookie cup. 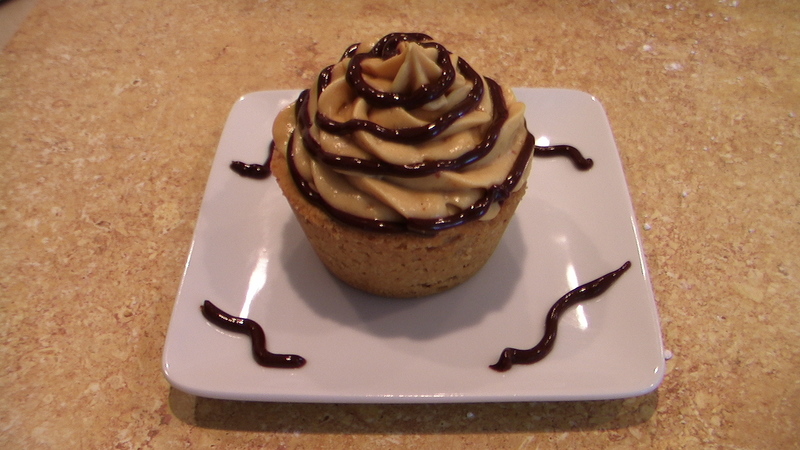 Fill each cookie cup by piping the peanut butter mousse into a large rosette/swirl formation. Drizzle the remaining chocolate ganache evenly over the peanut butter mousse in personal preferred design. 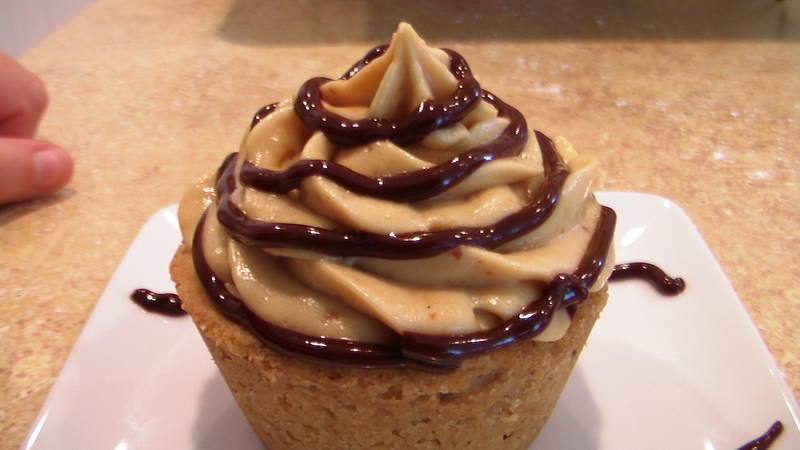 Refrigerate the peanut butter mousse cookie cups until firm, at least 1 hour. 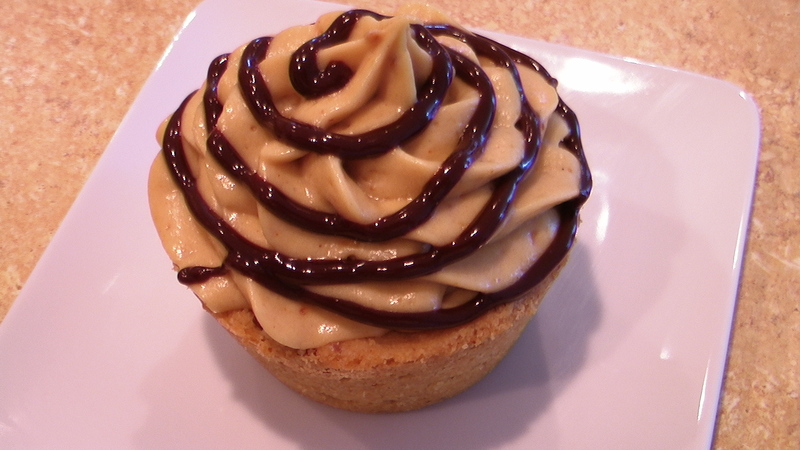 The Peanut Butter Mousse Cookie Cups can be stored in the refrigerator for 3 days.